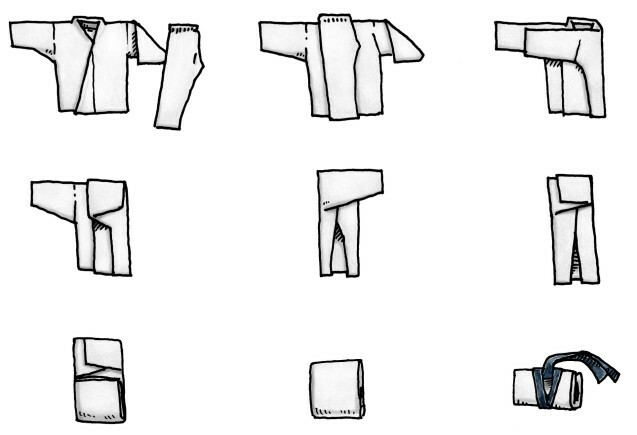 There are many ways to fold your Do-Gi. Because it help maintain your Do-Gi. It will help keep it wrinkle free. And it will make it easier to transport. 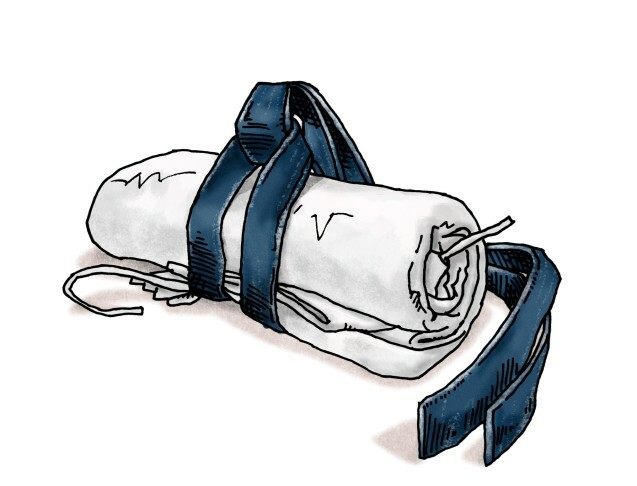 Shikaku no Gi or “Squarely Folded Gi” works best if you are packing your Do-Gi with other things. Put your folded pants over your open jacket. 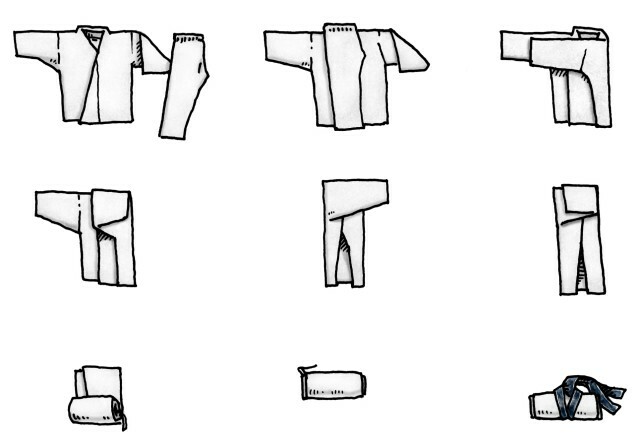 Fold the jacket sides over the pants, then fold back the sleeves. Fold up the jacket/pants from the bottom twice. Tie your belt around the whole package. Put it in your training bag like a boss! 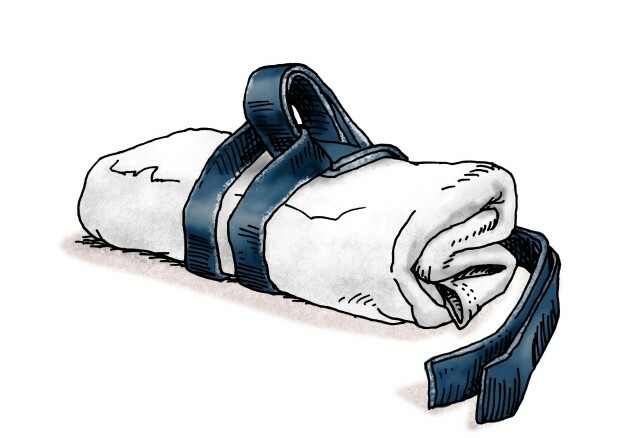 The next method is Maki no Gi or “Rolled Gi” works best if you are carrying your Do-Gi without a training bag. Roll up the jacket/pants from the bottom. Tie your belt around the gi sausage. Swing over your shoulder and travel the world! There you go. Two different ways to fold you Do-Gi. Previous Previous post: Does your dojo have a curriculum?